We have discounts available! Look Below. 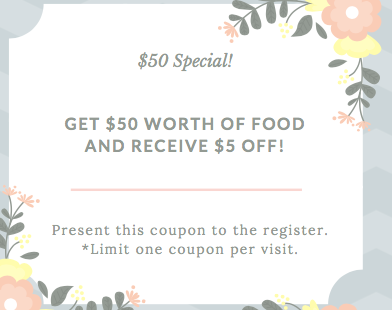 $50 - Get $5 Off with Coupon! 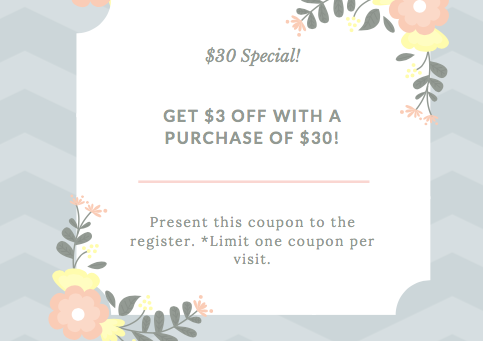 $30 - Get $3 Off with Coupon! Lunch is 6.99 with Coupon!